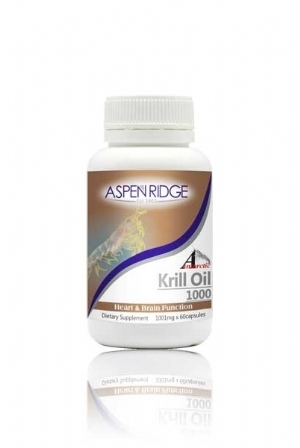 Aspen Ridge Antarctic Krill Oil 1000 is suitable for Men, Women and mature health needs. Krill Oil supports whole body health and naturally contains the super antioxidant Astaxanthin, which helps to support healthy cardiovascular function and enhance your body's natural immune response. Krill oil is naturally high in vitamins A and E that may support healthy vision, organ function, reproductive and skin health, while reducing the presence of everyday free radicals, for enhanced cellular renewal and protection from oxidative damage. Krill Oil may also support healthy digestion & support healthy weight management. Stop taking Krill Oil at least two weeks prior to surgery. Not suitable if allergy to seafood is known.